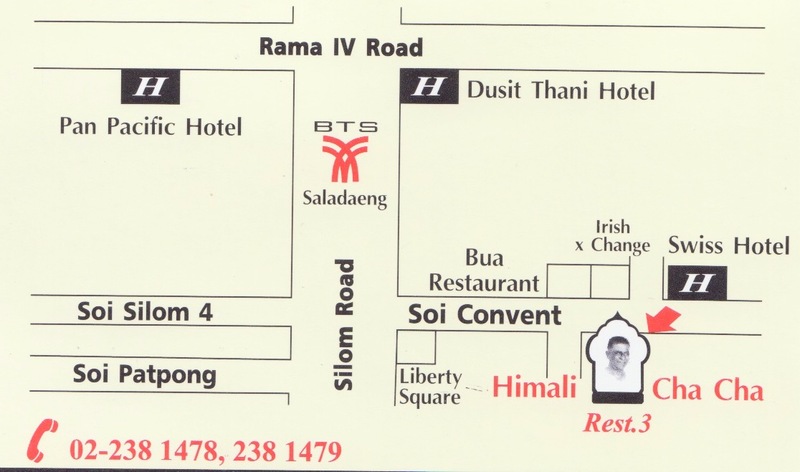 The original branch on Bangrak Charoenkrung Soi 47/1 tel 02235-1569. A Taste of Our Menu. Our house specialties include a mutton barbecue, chicken tikka, and chicken masala. The Indian thali plates (a large plate with a variety of item to sample -- similar to an appetizer plate) and much more. 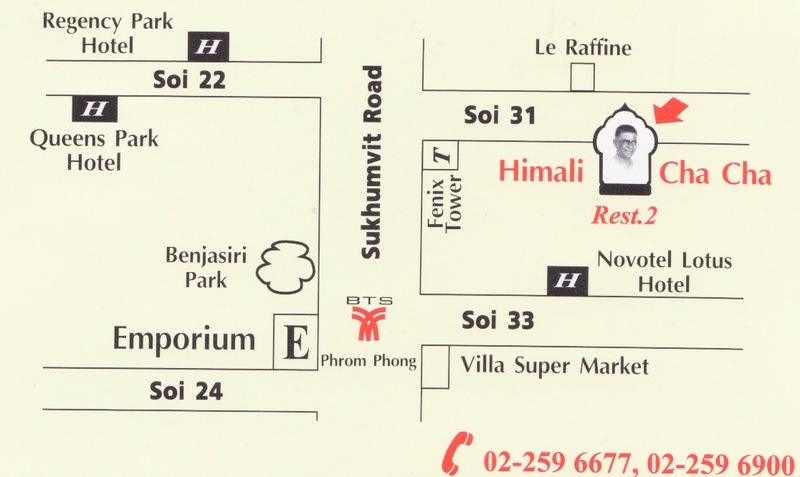 Himali Cha Cha Indian Cuisine is located with three branches throughout Bangkok, Thailand. 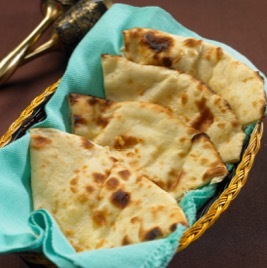 When visiting our restaurant, be sure to try our delicious breads and mango lassi (yogurt drinks). Our northern Indian cuisine is served in a pleasantly informal setting with beautiful Mogul decor.Price above is in Thai Baht currency. Price are subject to change without notice. Visit our restaurant for more expanded menu list. We have more variety in our restaurant menus such as selections of Nans, Chapati, Variety of Soups, Dahl, Masala, Vegetarian Dishes, Palak Paneer, Aloo Ghobi, Bindi Masala, and a wide range of Chicken dishes such as our delicious Butter Chicken and more. Mr. Cha Cha spent over 40 years cooking around the world before establishing Himali Cha Cha in 1980. One of his first jobs on the staff of Lord Mountbatten of India in the 1940s-set the high note his career was to follow; cooking for the rich, powerful and famous. They expected and got, the very best-Cha Cha&apos;s "special" cooking. Himali Cha Cha Indian Cuisine now has 3 restaurants throughout Bangkok and managed in the capable hands of Mr. Cha Cha&apos;s son Kovit Sarcar. In 1998, Kovit took the plunge in managing Himali Cha Cha and leased a big old house on Sukhumvit Soi 35, creating the second Himali Cha cha. The atmosphere is very inviting with Red tablecloths, Mughal arches, low lighting, rartan seating, with background of authentic indian music. Further, to make sure the food is always satisfactory, Kovit himself takes charge of the kitchen. Following customer&apos;s demand of more space, In 2006, The 2nd restaurant at Sukhumvit Soi 35 was moved to a bigger and beautiful building in Sukhumvit Soi 31 (Two blocks away). 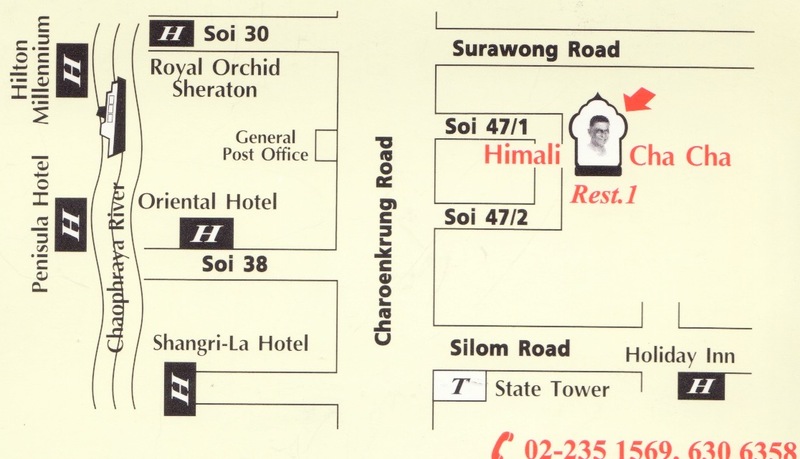 The new address for Himali Cha Cha 2 is: Sukhumvit Soi 31, Bangkok, Thailand. Phone: 02-259-6677 or 02-259-6900. After Indian independence, Mr. Cha Cha took a career as a chef for Indian Ambassadors abroad. 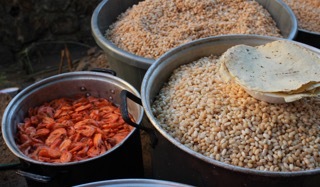 His last diplomatic posting was in Laos, where he got married, then set up a small restaurant by the morning market. His name spread among the Indian food lovers, though his old friends, Ambassadors and diplomats remained prominent among diners there. In 1977 Cha Cha and hisThai family moved to Bangkok, Thailand. 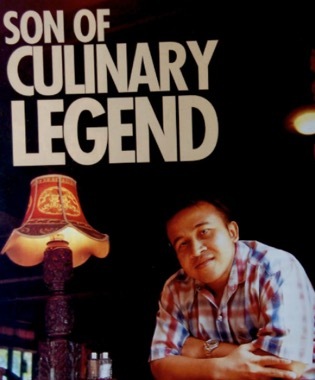 In Bangkok, HIMALI CHA CHA grew from demand for Cha Cha&apos;s cooking, his rare skill with spices and flavors.